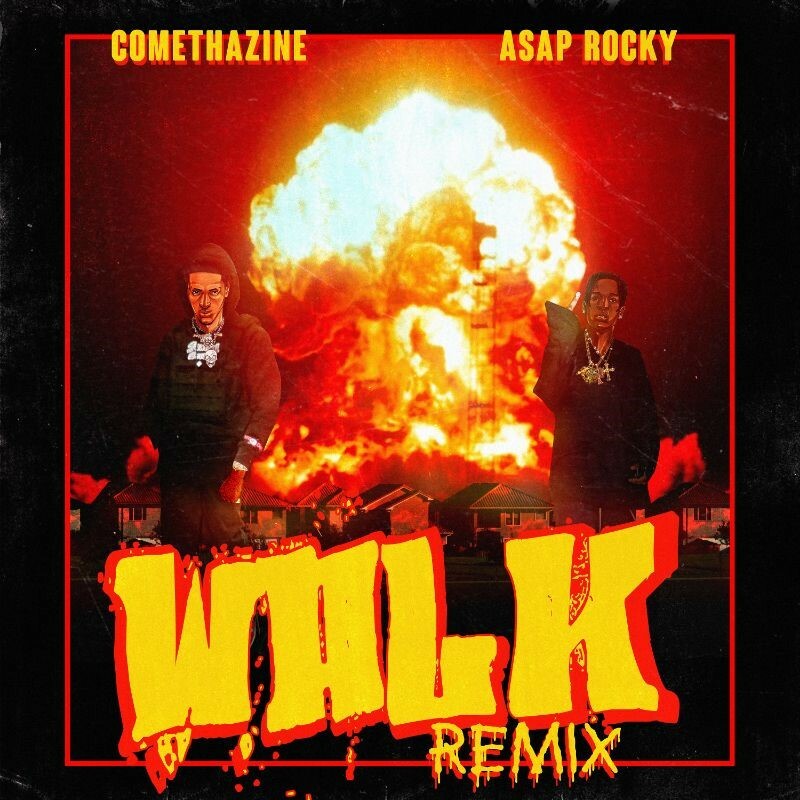 Home / ASAP Rocky / MUSIC / Comethazine Recruits A$AP Rocky to Remix His Breakout Hit "Walk"
Comethazine Recruits A$AP Rocky to Remix His Breakout Hit "Walk"
The Alamo Records Signee Shares a Fiery Remix For His Biggest Hit, Premiered by Beats 1, As He Prepares an International Tour. One of the new generation's titans of turn-up, Comethazine is rapidly blowing up. In 2018, Comethazine released "Walk," a woozy and speaker-knocking banger, which grew into a massive hit, with more than 103 million streams on all platforms. Today, Comethazine recruits A$AP Rocky for the "Walk" remix. Rocking a triplet flow atop the track's flickering and see-sawing synths, Rocky provides a perfect counterweight to Comethazine's manic bursts of aggression. Premiered by Zane Lowe on Apple Music's Beats 1 Radio, "Walk" Remix arrives via Alamo/Interscope. Extending his headlining tour across borders and continents, Comethazine prepares to embark on an international extension to his "Bawskee 2 Tour." Making stops across Canada and crossing the Atlantic for dates in Lisbon, Dublin, Copenhagen, and London, the "Bawskee 2 Tour" sets out to prove the international appeal of the new wave of rap artists. The "Bawskee 2 Tour" finds Comethazine playing hits from his new album Bawskee 2, which dropped in early January via Alamo/Interscope.